Greenville, SC, April 12, 2011, Chris Hartwick, Graphic Designer for Bob Jones University, has been recognized by Elite American Artists for dedication, achievement and leadership in mouth art. Born with arthrogryposis multiplex congenita, Mr. Hartwick has achieved great success in graphic design despite the tremendous obstacles. His perseverance and dedication are a result of his spirituality and the guidance provided to him by the Lord. He became interested in art at a young age and pursued a Bachelor of Science in graphic design at Bob Jones University, which he completed in 1993. Currently, Mr. Hartwick works for the university as a graphic designer; he creates advertisements and layouts for catalogs and magazines. In addition, he also designs print materials to promote video products. 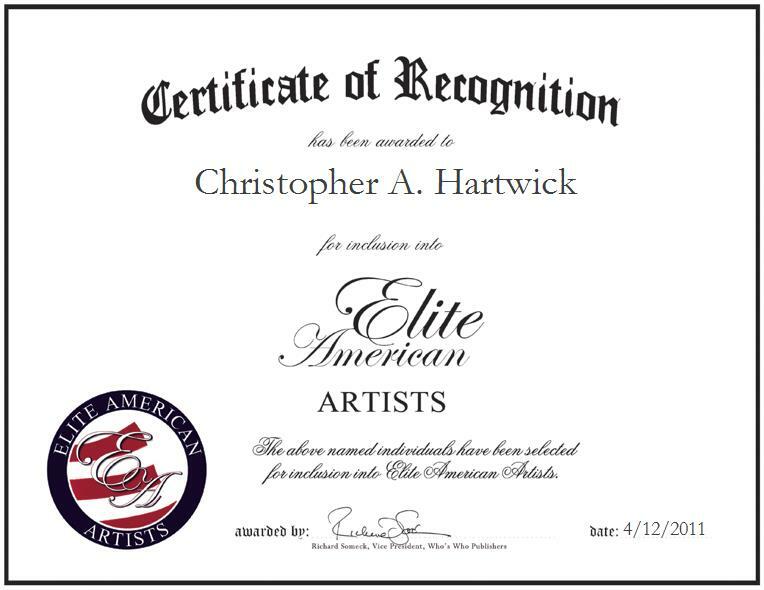 Known for his accuracy and detail in his work, Mr. Hartwick is the recipient of several awards from art competitions. He is a member of Upstate Visual Arts, Inc., the Artists Guild Gallery of Greenville, S.C., and Mouth and Foot Painting Artists. In his spare time, he is an art gallery volunteer for both The American Red Cross and his local humane society. Moving forward, Mr. Hartwick plans to continue working at the university as a graphic designer, and to exhibit his artistic works in a greater number of galleries nationwide and in Europe. For more information on Mr. Hartwick, please visit http://www.notearsinheaven.com. A collection of his work may also be viewed at http://artistsguildgalleryofgreenville.com/section/66539_Chris_Hartwick.html.